BBC NEWS | Europe | Should Auschwitz be left to decay? Two experts on Auschwitz argue for and against the idea that the former Nazi death camp should be allowed to crumble away. Many Auschwitz survivors have told me that a visit to the camp can teach little to those who were not imprisoned there. Their view is best summarised in the text of Alain Resnais' celebrated movie Night and Fog (1955), written by the camp survivor Jean Cayrol. As the camera pans across the empty barracks, the narrator warns the viewer that these remains do not reveal the wartime reality of "endless, uninterrupted fear". The barracks offer no more than "the shell, the shadow". Should the world marshal enormous resources to preserve empty shells and faint shadows? Certainly, as long as there are survivors who desire to return to the place of their suffering, it is appropriate that whatever remains of the camps is preserved. Many of the same survivors who have told me that I can derive little knowledge from a visit to the camp acknowledge that it was good for them to return to the place, anchoring an all-encompassing nightmare back to a particular place. The world owes it to them not to close such an opportunity for a return. As long as one survivor is still alive, the remains of the camp should remain available. But what when there are no survivors left? In his autobiographical novel The Long Voyage (1963), former Buchenwald inmate Jorge Semprun considered what ought to happen with the remains of that camp after the death of the last survivor, "when there will no longer be any real memory of this, only the memory of memories related by those who will never know (as one knows the acidity of a lemon, the feel of wool, the softness of a shoulder) what all this really was." Semprun hoped that grass, roots and brambles would be allowed to take over the camp, destroying the remainder of the fences, barracks and crematorium, effacing "this camp constructed by men". As we commemorate the 64th anniversary of the arrival of the Red Army at the gates of Auschwitz - the term "liberation" is not really appropriate as most of the inmates had been evacuated a few days earlier in death marches - it is good to begin thinking about the future first anniversary of the day when the last Auschwitz survivor has died. It might be that we will agree that the best way to honour those who were murdered in the camp and those who survived is by sealing it from the world, allowing grass, roots and brambles to cover, undermine and finally efface that most unnatural creation of Man. At that future date, may the slowly crumbling debris of decay suggest the final erasure of memory. 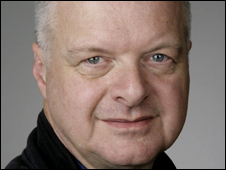 Robert Jan Van Pelt is a professor at the School of Architecture, University of Waterloo in Ontario, Canada. He is a world-renowned authority on Auschwitz, and the author of several books on the subject, including Auschwitz: 1270 to the Present. The only people with a full and undeniable right to decide the future of the Auschwitz-Birkenau Memorial are the hundreds of thousands murdered in this concentration camp. The prisoners whom I met as prisoner number 4427, when I was detained in Auschwitz between September 1940 and April 1941, are among them. To some I owe my survival. They saved me, guided not only by the impulse of the heart, which was heroic at the time. They also believed that the survivors will bear witness to the tragedy which in Auschwitz-Birkenau became the fate of so many Europeans. Thus I and numerous former prisoners fulfil the testament of the victims and convey to subsequent generations the truth about those days. But the moment when there will be no more eyewitnesses left is inexorably approaching. What remains is the belief that when the people are gone, "the stones will cry out". The ruins of crematoria and gas chambers in Birkenau, the empty bunks in barracks, the dark cells in Block 11 and the Wall of Death - all of them will cry out. Therefore, it is meaningful to save stones, ruins, and buildings, even if the price is high. It lies in the nature of man that when no tangible traces remain, events of the past fall into oblivion. We do renovate castles, preserve paintings and old libraries. The best example is the memory of ancient Greece and Rome - centuries have passed but it is still vivid, thanks, among others, to the remains of both civilisations. Why then should we let be forgotten the Memorial to the suffering of thousands of prisoners from many countries, and to the extermination of Jews? The place which has grown to be a global symbol and a warning against all forms of contempt for mankind and of genocide? There is no other place like that in the world - no other KZ [Konzentrationslager, or concentration camp] was a concentration camp and extermination camp at the same time. Right after the war, there occurred ideas - which fortunately have not been implemented - to demolish the remains of Auschwitz-Birkenau and plough the area up. The justification given was that a place of such cruel murder should vanish from the face of the Earth. I do not wish to say that the intentions were not honourable, but in my view disguised behind them were other, not entirely realised, motivations. When a man commits evil, he tries to obliterate its traces. Auschwitz-Birkenau is like a continuous sting of remorse that torments humanity, especially Europe. It is a sting of remorse for every person who is indifferent to the suffering of others. Auschwitz-Birkenau must forever remain an unhealed, burning wound, which wakes people up from moral lethargy and forces them to take responsibility for the fate of our world. If we let the memorial cease to exist, we will take a great burden on our conscience. We will trample upon the testament of the victims. I hope to be a false prophet in saying that, but if we allow Auschwitz-Birkenau to disappear from the face of the Earth, we might just be opening a way for a similar evil to return. 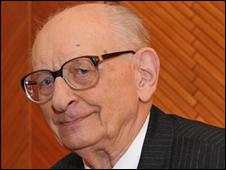 Prof Wladyslaw Bartoszewski is a historian, author, diplomat and former Auschwitz inmate. Two times Polish foreign minister, Prof Bartoszewski is currently secretary of state and plenipotentiary of the prime minister for international dialogue. I have never visited Auschwitz but have been to Bergen-Belsen several times. Because it was demolished shortly after it was liberated, there is little at Belsen now beyond monuments. I feel it was a tragedy that the decision to demolish it was taken, albeit that the imperative preventing the spread of typhoid etc made the decision almost inevitable. To take a similar decision about Auschwitz when those sorts of pressures do not exist would seem to me to show a fundamental lack of humanity. With a sea war grave we leave the ship to rest and we stop divers swimming the wreck. I would prefer to see something similar for Auschwitz - secured and left to be reclaimed by nature. Future generations can learn of such atrocities (and this by far is not the only example of mass genocide) from visits to museums and through education. Spend the money on ensuring that it becomes part of our education and leave Auschwitz to rest. As a child I remember the letters my mother would get from survivors of the camps looking for possible living relatives. In 1996, I went to Auschwitz to see the unhumanity that unbridled bigotry engenders. I am not a Jew, but the victims were not limited to Jews. Poles, Russians, and political unacceptables from all over Europe had their fates sealed at these camps. To shutter them from the public is to gloss over those failings of the human spirit that allow these camps to exist in the first place. We must be reminded of our failures as humans, just as we must be reminded of our successes. Failure to do that will allow bigotry to again reappear ... as in the Gulag ... Guantanamo ... the killing fields of Cambodia ... the refuge camps in the Sudan. It should be kept. Anything which serves as a reminder of the attempted destruction of a race, a faith, a belief system should be maintained ad infinitum. Only when you stand inside a gas chamber and see the marks left by thousands of fingernails in the concrete walls as men, women and children blindly struggled for an escape can you even begin to comprehend the level of atrocity and suffering. The camp infrastructure must endure as a memorial and witness to inhumanity on such scale. As a non-Jew who visited Auschwitz last year I can only say that it should be preserved as a forceful reminder of man's inhumanity to man and a warning not to let this be repeated. If we simply abandon this site to the whims of nature, we would be denying that it was created as a result of human processes. Human processes must therefore preserve it. It should remain, not only as a memorial to the thousands that died but also a reminder to the world what happens when dictators are ignored. My father was as political prisoner incarcerated and tortured in a German Concentration camp. He survived and as a child I heard his tortured nightmares in my bed next door. Having experienced the sufferings of an inmate in my own family and considering the enormity of the crimes to mankind committed by the Nazi regime I feel that these facilities should be maintained forever, and all costs. To remember the past, for the sake of the future. I can appreciate both sides of the arguement and have sympathy with both views. However on balance I believe future generations would be amazed at us if we did not preserve something that has been so fundamental in shaping the post war world and politics. As a Jew whose great-grandparents dies in Auschwitz, I think it should be preserved. I went to Poland to learn more about what had happened, and though was it left is only a shell, it still has things to teach us, things that may be forgotten without physical evidence. I know I want my daughter to be able to go there one day and to learn of the past as well as hope for the future. As beautiful as letting earth grow over the remains of Auschwitz sounds, I think preserving the site will, in the long run, be more important. Our memories are too short to risk letting the world doubt the existence of the Holocaust, especially Auschwitz, due to the lack of physical evidence. Let us not aid the Holocaust deniers; preserve Auschwitz even though it is only a shell of the horrors that took place within. I don't agree that Auschwitz should be allowed to become overgrown and disappear. That would be too easy for us all. I also disagree that the stones have no value. Only this weekend I was moved to tears by a mere account in the Times of a group of school children visiting Auschwitz and other camps and memorials. It had obviously had a massive effect on that generation and will, hopefully inform their actions in the future. I haven't been but I intend to do so one day. Keep them and preserve the memories. Crumble away? No. The memory of man is short. What is out of sight is often out of mind. Stalin said, "One death is a tragedy, a million is a statistic." But these were not just statistics. They were all real, live human beings. Historian George Santayana's famous quote is apt: "Those who do not remember the past are condemned to repeat it." If these burial grounds are allowed to fade, so to will the probability that it will happen again, by inverse proportion. In a very real sense they are open graves. Just like we must maintain places of beauty for the goodness they inspire, so these places must be maintained, and their horrific stories told anew to each generation, to prevent it from ever happening again. I went to Auschwitz as part of the Learning From Auschwitz Project, and although it can be argued the full horror can never be converyed I would argue that it will still change people and their attitudes forever. There are ao many dreadful and inspirational stories to teach people how cruel mankind can be and jsut exactly what can be done about it. Leaving Auschwitz as a blight on this earth will ensure people remember what happened last time and stop it. These camps should be left to crumble and be allowed to be consummed by nature. Perhaps a more fitting memorial should be erected. One that would stand the test of time and act as a reminder and a testament to those that suffered. I visited both Auschwitz and Auschwitz-Birkenau on Boxing Day last year. While I thought I knew what to expect it was the sheer scale of, particularly, Auschwitz-Birkenau that remains in my mind; no film can convey the size of Auschwitz-Birkenau that you can see standing in the tower above the main gate and to see the, admittedly, ruins of what is left stretching out in front of you. Polish school children are taken to one of the concentration camp sites as part of their schooling and it acts as a reminder as to what was done in their country. For me both Auschwitz and Auschwitz-Birkenau acted as a horrifying example of what happens when a race attempts to carry out genocide. Genocide is still going on in parts of the world today. The Nazi concentration camps were not just about exterminating Jews but many other 'undesirables' too. I think that Auschwitz-Birkenau should be kept as a reminder and a warning to future generations. NO. Auschwitz is a part of our human history and should not be left to ruins. It is a reminder of the suffering and truimph of the human spirit in the midst of tyrrany and opression, just like we have the hiroshima memorial or the crosses of normandy. If it be left to ruins, there will be no évidence to mock those people who deny the holocaust. Auschwitz should be seen by generations for them to know that goodness always truimphs over evil in the end. Obviously while there are still survivors who want it to remain, it should do. However, once there are no more, would it not be better to destroy the remains of Auschwitz and build something on the site as a memorial to those who suffered there? Perhaps a hospital or something similar, as a symbol of hope over (literally) suffering? Auschwitz has not yet disappeared, but genocide has still occurred after the end of the Second World War. We must never forget the evil that occurred, but we don't need Auschwitz's remains to keep the memories fresh. No this place must be kept as a memorial to all those and their families. Perhaps just as important as a reminder of what happened at this time for tomorrows children. This should be the same for all of these places. One day i am going to take my children there and explain what happened. It should be left to crumble but the ground should never be used for anything else; left as it is. How could someone preserve this abomination ? To do so would mean actually repeating the building of it, albeit for a different reason. I believe that Auschwitz should be preserved. Humanity easily remembers its triumphs, but soon forgets its evils. To future generations, the Holocaust may seem too horrible to believe or remember. We need to preserve Auschwitz and other physical reminders of our past so that does not happen. I have no connection to any victim of Auschwitz but visited it in 2002. The sheer horror of what went on there is still unimaginable but it does give a good account of it. I remarked that it should be a place that everyone should visit to appreciate what humans can do to one another as a reminder that we should never let this kind of things happen again. I feel strongly that we should maintain Auschwitz so that I can show my son what happened and eventually so he can show his son. It is important that physical embodiments exist to help people who weren't there to grasp, even in a small way, the sheer inhumaness of what Auschwitz and other camps stood for. I have visited Auschwitz and was moved by what I saw. It was a harrowing visit but it did make me think alot about man's inhumanity to man. It should be preserved as a testimany to this inhumanity and for future generations to physically see an indication of what the camp was like rather than read about it. I think there is too much emphasis placed on the Jewish aspect of the "holocaust". There were other ethnic groups such as the Romanies who are never mentioned. There have also been other episodes of mass slaughter eg Cambodia and Rwanda, which are not treated with the same publicity or moral outrage. The concentration camps of Europe were an outrage to civilisation and should be remembered and not allowed to deteriorate. I think it should be preserved for generations to come as a solemn reminder of man's inhumanity to man and the horrors of genocide. Having visited Auschwitz it is a truly moving place which in my opinion should be kept open. It does not matter how many books you have read on it nothing defines the horror of the place until you have visited. As was said in the article if we forget we will be forced to remember. I am disgusted and absolutely shocked that anyone would seek to canvas opinions like this. Auschwitz is not just there for the survivors - it is there for all of us - Jew and Gentile alike. A reminder to all humanity of just how dangerous politicians and their followers can become. Places like these should be preserved - least we forget. The Colleseum in Rome has been preserved and that was a place of death. What happened in the Second World War should not be forgotten. I am in my early 50s and it amazes me that some 18 year olds do not know what a Death Camp was and have never heard of the Holacaust and that is bad. In the UK there are school trips to such places and I strongly believe that this is good as the next generations must learn from the past mistakes and horrors of previous generations and learn from them. I believe that too many of the younger generation are being shielded from the bad things in life and only experience the good. They need to know the difference between good and bad/evil. All actions have consequence, and wars are not fought by the generals who lead the armies. The only tribute to the fallen is their gravestones. What remembrance is there for the innocent caught up in the struggles of empires? As long as the memorials of victorious war are preserved, so should the symbols of war's evils. As long as the weapons of war are lovingly preserved, so should the scenes of mass weeping be preserved - until there is no more war. This is a very delicate subject on which there will be many points of view, hence, I think it should be for the survivors, after which the families, to decide. I agree with Mr Bartoszewski, that whilst we preserve ancient ruins, we should preserve other important parts of our history that may not be so happily remembered. People take photographs of the good times, the weddings, the birthdays, but they rarely document those things which are unhappy... funerals, illness.. and yet these things are our history too. Preserve Auschwitz - it should be a sobering reminder of part of History which would all too easily be forgotten and like the funerals, the illnesses of life, Auschwittz is sadly part of our history too. It should be preserved in my opinion. Future generations should be able to visit it and be warned against racism, and small mindedness, so that the atrocities should never happen again. It should stand as a testimony to all those who suffered. It deserves to stand and they deserveit to stand too! A few years ago I went on a school trip to Auschwitz. It was a humbling, and for many, upsetting, experience for our group of 14/15 year olds. Nothing that we had learnt in the classroom could have prepared us for the experience. The memories of the vast space, eerie silence and the fact we were merely standing in a place that had claimed so many lives will remain with me forever. I think it is so important that Auschwitz is preserved in order for future generations to learn about the past and as a reminder that nothing that terrible should be allowed to happen again. I believe Auschwitz should remain as a memorial to the incredible suffering experienced by so many. We retain graves of our loved ones why should we not retain a visible memory of the site of the death of so many innocent people? Shame that this happened should not come into the equation. I visited the Auschwitz camp last summer, and whilst I agree that as visitors to the camp in modern times we could never gain a full insight to the full monstrosity or inhumanity of the crimes committed there, the experience was still a very emotional, sobering, and somewhat distressing one. People should never be allowed to forget the dark depths to which humanity sank in the holocaust, and the Auschwitz camp must remain, not only as a reminder of this, but also a shrine to those who survived the camps, and the millions of innocents that did not. It is clearly important to keep Auchwitz. It is the physical proof of the events of the time and a necessity for educational purposes. It is only through education that we can learn about the horrors of the concentration camps. Like the dome at Hiroshima; it is a very powerful educational tool. Preservation of these places is vital, if only to prevent holocaust deniers the possibility of asking where the evidence is. I visited Dachau nearly 30 years ago, and it changed my life for ever, making me aware that such events must never be allowed to happen again. Where will future generations get this kind of experience if the evidence is destroyed? Auschwitz should never ever be forgot about, and should be looked after so that people in years to come can be reminded about how horrific and terible it really was. If anything the site should be re built as it was in the war so people can really understand it. We cannot allow the memory of those horrific events to be forgotten. A memory of a memory is better than no memory at all. Would you have the events of 9/11 written out of history? After the last survivor has passed, seal the area and let it stand as both a monument to the innocent people who perished there, and a warning of the grisly depths to which the human animal can stoop. Let it also serve as a beacon of hope and inspiration, that after the ultimate price needlessly paid by so many at just this one camp, evil can be stopped, and punished. For the times of Auschwitz to be forgotten, to me, is tantamount to condoning it. The place speaks for itself. It is a chilling reminder of mankind's inhumanity to itself, and in my opinion should be preserved at all cost. I think Auschwitz, should be preserved as a memorial and a constant reminder of the horror and atrocities that were carried out there, no one should be allowed to forget. To many people are trying to put out that it never took place! Graham Todd, Benoni, South Africa. Under no circumstances. We must never allow this to be forgotton. I am a teacher and was horrified to find out last week that my school is taking the Holocaust off of the cirrululm as the head of departmet does not feel that it is relevant anymore. It will always be relevant and we should never forget. I could never hope to understand the suffering and evil that took place in this camp. Auschwitz should be preserved as a reminder and warning to furture generations of the evil mankind is capable of. This, at least for a few more generations, until time and the flow of history eventually forces it's finish, in hope that globalization will produce laws and conventions guaranteeing nothing like it will ever occur again.